KayKiSpeaks.com: Singer Lloyd Sued.. AGAIN! Well, the r&b swooner is looking at yet another lawsuit. This one stemming from the earlier case brought on by his former manager Joyce Irby. Irby sued Lloyd for breach of contract a bit ago. They handled it outside of court with Lloyd agreeing to pay her $200,000 and help her find another job. Well, Irby is back at Lloyd again according to TMZ because...he's only paid her $20,000 and she is still jobless. Irby is asking for the remaining $80G's, his help in finding her another job, and also that her lawyer fees be paid . Now, Im not sure who she thinks she's suing, but does Lloyd have this kind of money to be dishing out? Im not sure, I hope this gets settled though. 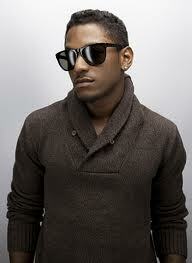 Lloyd is probably most famous for the song, "Get is Shawty" and most recently "Lay It Down".